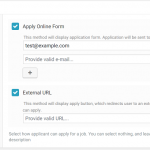 By default WPJobBoard allows users to apply using “Apply Online” form only. 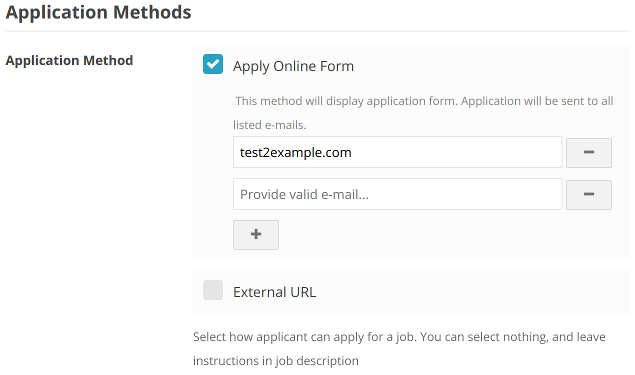 With the Application Methods extension, you can allow Administrator and Employers on per job basis to select how candidates can apply for jobs. Apply Online Form – you can enter multiple emails to which the application notification will be sent. 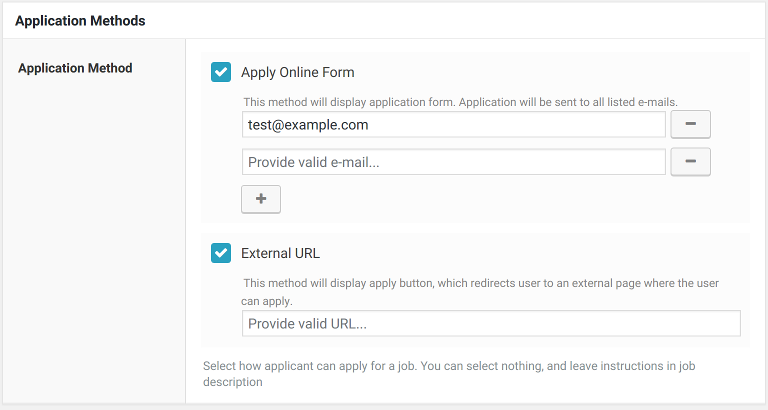 Application URL – an URL to which users will be redirected after clicking “Apply Online” button on job details pages. Apply with LinkedIn – if you have Apply with LinkedIn configured then you can allow applications from LinkedIn. Download the add-on from client panel. 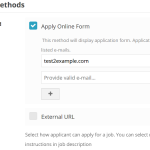 Edit or Add a job from wp-admin panel or from the frontend and select how users can apply for this job. Application Methods extension in the frontend.